Does Halloween night or a full moon tend to bring out your inner beast—prompting you to sprout a mane of hair, double in muscle mass, and grow fierce claws and fangs? If so, that's pretty neat, and we wish you the absolute best out in this wolf-eat-wolf world, but I hope you understand why we can't hang out anymore. 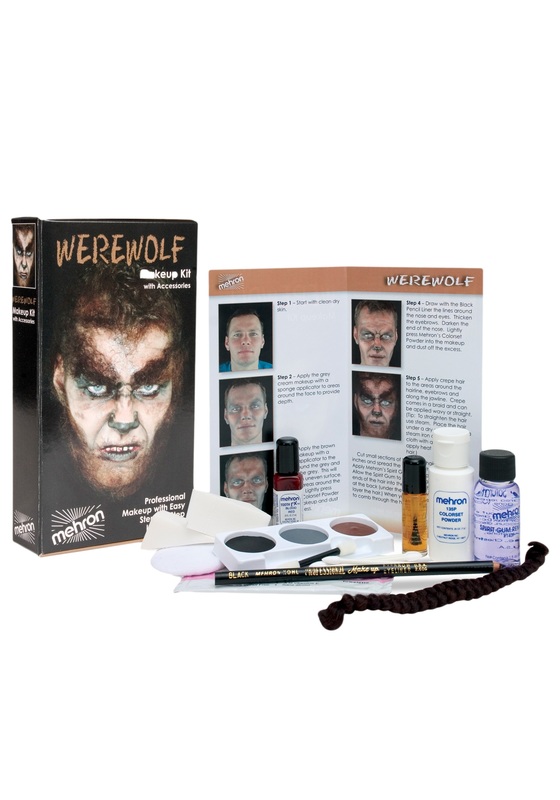 If not, no need to worry, because you can use this werewolf makeup kit to complete your transformation instead. Our kit includes everything you need to achieve a realistic, professional-quality look to complete your werewolf costume, including application instructions. This means that rather than worrying about your look before that costume party of the year, you can worry about losing more friends than just us!